What Can Porcelain Veneers in Spring Lake Do? More Than You Think! If you ask any cosmetic dentist to name one procedure that can “do it all,” there’s a good chance they would say porcelain veneers! Invented by a dentist in Hollywood over 80 years ago to use on film stars, they can mask many flaws to completely change how your smile looks. But porcelain veneers in Spring Lake provide more than just cosmetic benefits. They have other advantages as well that make them one of the most popular cosmetic procedures out there. Learn more below about the many ways this procedure can benefit you! What Flaws Can Porcelain Veneers Fix? It reflects light more like natural teeth do, which gives it a very natural and lifelike appearance. It’s very strong and durable, so with basic care and maintenance (e.g. brushing and flossing and regular checkups), you can expect years of enjoyment from your veneers. It’s non-porous, which makes it stain-resistant. You won’t have to worry about your morning cup of coffee or nightly glass of red wine staining your new dental work! The best way to determine if porcelain veneers are a good choice for you is to schedule a consultation. A cosmetic dentist in Spring Lake will start by evaluating your dental history and cosmetic goals so they can recommend the best treatment for you. You’ll be glad to know that porcelain veneers are a great choice for most patients, but there are a few exceptions. For example, they work best for patients who already have reasonably healthy teeth and gums. 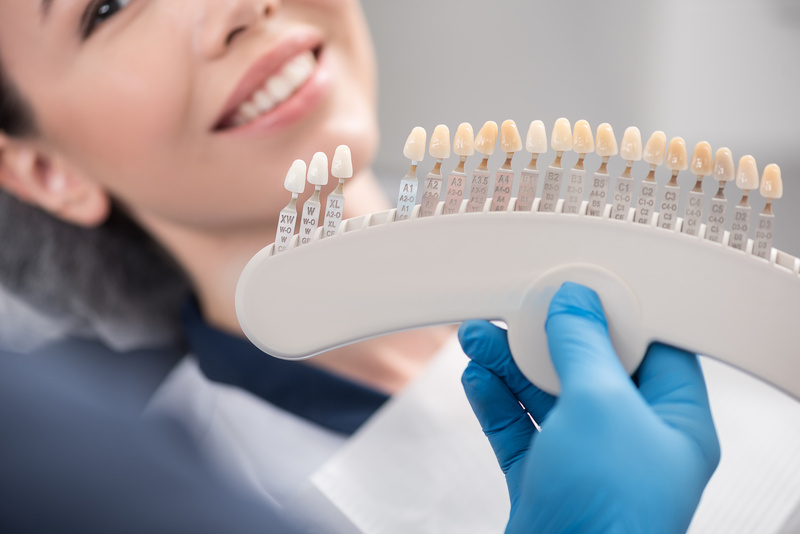 If you have advanced gum disease or severe tooth decay, a dentist may recommend another procedure such as a dental crown, bridge or partial denture. But remember, there are many factors that need to be taken into account, so each patient is evaluated on a case-by-case basis. Porcelain veneers are a fantastic way to get the smile you’ve always wanted. They’ve been used for decades with great success to give actors, politicians and other public figures beautiful smiles. But you don’t have to be a celebrity to take advantage of all the benefits they offer! Dr. Edward Dooley is a general, restorative and cosmetic dentist in Spring Lake whose philosophy is that everyone deserves the self-confidence that comes with having a great smile. He’s used porcelain veneers to provide fantastic cosmetic results for many of his patients, making it one of his most popular procedures. If you’d like to know more about porcelain veneers, he can be reached via his website or at (732) 974-2288. Comments Off on What Can Porcelain Veneers in Spring Lake Do? More Than You Think!